Banana slugs are usually secretive creatures that prefer damp hiding places to being the center of attention. But the yellow mollusk was anything but reclusive in October when the city of Santa Cruz marked UC Santa Cruz’s 50th anniversary with a “first-on-the-planet” Banana Slug Parade right through the heart of downtown. With more than 40 entries—from a startlingly yellow Santa Cruz Metropolitan Transit District bus to the enchanting Anak Swarasanti gamelan troupe—the parade was a whimsical and entertaining celebration of UC Santa Cruz’s five-decades-long residence in the county. “The university is a major contributor to our community,” said then–Santa Cruz Mayor Don Lane (Merrill ’78, politics). He noted the 4,000 jobs the university provides, the millions of dollars pumped into the local economy, the thousands of service hours donated by student volunteers, and the vibrant arts scene fed by a creative campus. Today, total annual campus water use is 20 million gallons less than 20 years ago, even though campus population has grown. A UC Santa Cruz program to nurture a diverse cadre of environmental conservation leaders will receive $2 million over four years from the Doris Duke Charitable Foundation, joining four other universities in the Doris Duke Conservation Scholars Program. “The conservation field needs greater diversity to become even more successful” said Erika Zavaleta, professor of environmental studies, who conceived of the UC Santa Cruz–based version of the conservation scholars program. UC Santa Cruz will use its long-established strengths in conservation, experiential learning, and educating first-generation college students and students of color as it recruits 20 exceptional students nationally each year over four years for intensive hands-on field experiences. Kristy Kroeker, assistant professor of ecology and evolutionary biology, received a Packard Fellowship for Science and Engineering from the David and Lucile Packard Foundation. The Packard Fellowship, one of the nation’s most prestigious honors for young faculty members, gives Kroeker $875,000 over the next five years to support her research on environmental change in dynamic environments and complex ecosystems. Kroeker is interested in how the rapidly accelerating changes in our environment will alter the fundamental ways that marine ecosystems work in the future. Alumna Gillian Welch (Porter ‘90, art) and her musical partner David Rawlings took home a Lifetime Achievement Award in Songwriting at the 2015 Americana Music Awards. Held at the historic Ryman Auditorium in Nashville, they were honored alongside fellow lifetime achievers Ricky Skaggs, Don Henley, Buffy Sainte-Marie, and Los Lobos. “These artists have not only influenced the Americana community, but the musical landscape on the whole,” said Jed Hilly, executive director of the AMA. Physics professor Sue Carter was chosen as the first recipient of the Faculty Climate Action Champion Award by the Sustainability Office and the Academic Senate’s Committee on Research. 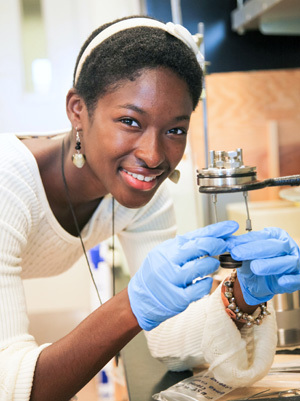 In her role as the award winner, Carter will establish a campus sustainability lab to support student-led research and training. Her proposal included a strong plan for student and community engagement. The sustainability lab will promote carbon emissions reductions and sustainable use of natural resources, providing students with indoor and outdoor laboratory space, educational tools, and resources. 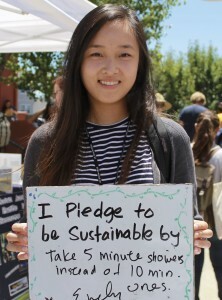 UC Santa Cruz worked hard last year to further reduce its water usage in the midst of the state’s historic drought. In the past fiscal year, the campus cut water use by 27 percent, exceeding the city of Santa Cruz’s Stage 3 Water Emergency reduction goal of 25 percent, and water managers continue to look for ways to save even more. The campus was recognized as a top performer in conserving water and protecting water quality by the Association for the Advancement of Sustainability in Higher Education and was featured in its 2015 Sustainable Campus Index. Robin Hunicke, renowned game designer, is thrilled to be part of UC Santa Cruz’s brand-new games and playable media major, offering students a strong foundation in game making. “It’s easier to make games now than ever before—but the process of developing a fresh idea from scratch isn’t something many of the students have had,” Hunicke said. The new B.A. program, being offered through the Arts Division, was conceived as a sister program to the B.S. degree currently in the School of Engineering. She expects steady enrollment growth in the program over the next few years. 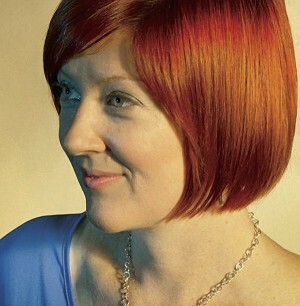 In addition to directing the new B.A., Hunicke also co-directs the campus’s Center for Games and Playable Media. Excitement is building on campus about a new major that encourages students to study notions about the concept of “race” and all of its social and political implications. Critical Race and Ethnic Studies started small but it is growing quickly. In spring of 2014, the program, informally known as CRES, had 13 students including 11 declared CRES majors. Now there are 26 students in the program, and 15 are declared majors. 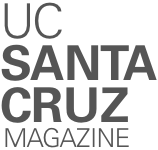 And while the program is new, “CRES is the fruition of many years of debate about whether UC Santa Cruz should have some kind of ethnic studies program,” said UC Santa Cruz Dean of Humanities Tyler Stovall. The program will give students a chance to explore such subjects as colonialism, slavery, displacement, migration, warfare, and racial profiling. 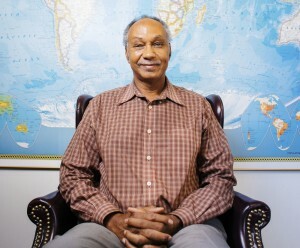 “We set out to study questions of race and ethnicity in a transnational, critical way,” Stovall said. We’ve compiled a stunning collection of the 50 things we’ve learned along the way to becoming today’s UC Santa Cruz. These axioms demonstrate the ways UC Santa Cruz is amazing. Check out the ideals we live by: ucsc.edu/50-ways. UC Santa Cruz’s Coastal Biology building is taking shape on the Coastal Science Campus that is also home to Long Marine Laboratory and the Seymour Marine Discovery Center. The builders expect to finish the project by summer 2017, when it will open as a center for ecology studies, habitat restoration, and work focusing on the impacts of climate change. The building will consolidate the offices of researchers and scientists who are now dispersed across campus, while allowing the university to expand programs in coastal sustainability and policy. The two-story, 40,000-square-foot building will have 20 labs, 43 offices, a first-floor seminar room with capacity for more than 100 people, conference spaces, autoclaves and environmental control rooms, and a secure space outside the main building with several seawater tanks. Our new special reports cover topics in depth to bring new perspectives to pressing issues. Our first report, Wild, Wild West Coast, looks at the bizarre ocean conditions off the west coast of North America, and what it all might mean. See it at news.ucsc.edu/west-coast. Most people wouldn’t find any connection between an elephant seal and the cha-cha. But for 20-year-old Xochitl Clare, it’s easy to see a link between a 4,000-pound pinniped and a lively form of Cuban dance. Not only does the marine biology and theater major study one and practice the other, but she also sees a very real relationship between art and science. Drawn to UC Santa Cruz by its marine biology program and its spirit of adventure, Clare eventually found herself working in Professor of Ecology and Evolutionary Biology Dan Costa’s lab, doing work that has implications for deep-ocean management. As fish-eating predators at the top of the marine food chain, elephant seals accumulate high concentrations of mercury in their bodies. A study by scientists at UC Santa Cruz shows that elephant seals shed significant amounts of mercury during molting, resulting in elevated concentrations of the toxic metal in coastal waters near the elephant seal rookery at Año Nuevo State Reserve. The findings reveal a previously unrecognized source of mercury contamination in coastal waters. Mercury is a problem in the marine environment because the most toxic form, methyl mercury, is readily absorbed and accumulates in the bodies of marine organisms. The toxin becomes more and more concentrated as it passes up the food chain. Thus, mercury concentrations in top predators can be 1 million to 10 million times higher than the levels found in seawater. “Many studies have looked at biomagnification up the food chain, and we took that a step further to see what happens next,” said first author Jennifer Cossaboon, who led the study as an undergraduate at UC Santa Cruz. Find more UC Santa Cruz news at news.ucsc.edu. Have news delivered straight to your inbox! Subscribe to the UC Santa Cruz e-newsletter at news.ucsc.edu/newsletter.